Morris had gone seven competitive professional games without a goal, and he wheeled away in the wake of his first with a leaping, screaming fist pump. “It was good, definitely a weight off my shoulders,” he said. 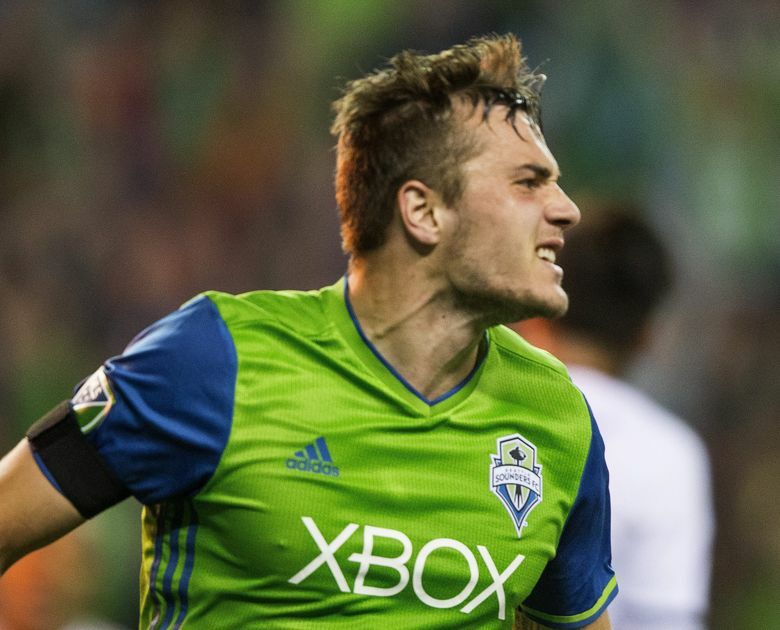 The ease of Jordan Morris’ first Major League Soccer goal was at odds with the building anxiety preceding it. 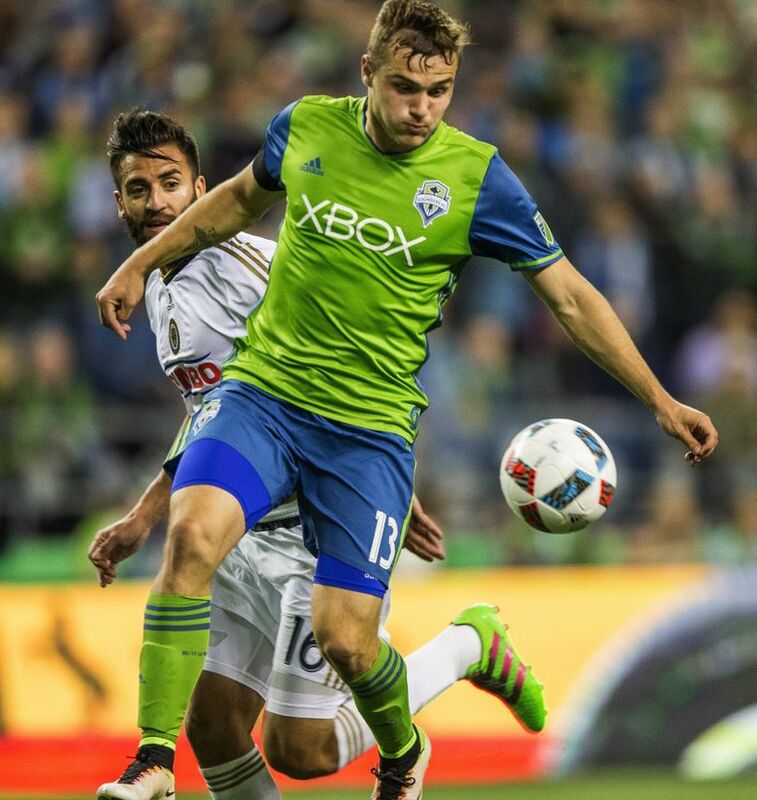 In the 71st minute of Seattle’s 2-1 win over 10-man Philadelphia on Saturday night at CenturyLink Field, Sounders midfielder Andreas Ivanschitz swooped in a curling pass that Morris knocked down with his chest. The rookie forward poked the bouncing ball past Union goalkeeper Andre Blake with a deft touch, one of those blink-of-an-eye goals that has the stadium double-checking the scoreboard. It was only in the celebration that Morris revealed the emotion bubbling beneath the surface. He’d gone seven competitive professional games without a goal, and he wheeled away in the wake of his first with a leaping, screaming fist pump. Morris, in his postgame news conference, mostly deflected attention back toward Seattle’s team win, but was relieved to never again answer a question about his first professional goal drought. Prior to the goal, it had been shaping up as another frustrating night for Morris, a steady stream of chances snuffed out by Blake’s big hands. Morris looked much more comfortable as a center forward, picking at the cracks of the Union back line and sprinting in behind on counterattacks. His first professional goal was still elusive, though, even when Oalex Anderson slipped him the ball with a clear sight on goal midway through the second half. The Seattle attack still lacked chemistry in the attacking third, its first goal again coming from a set piece when Chad Marshall headed home an Ivanschitz corner late in the first half. 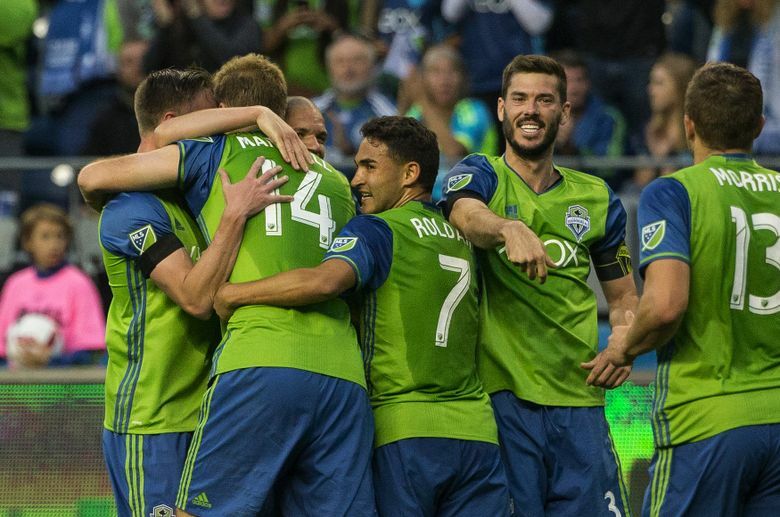 Its back line again betrayed fragility, allowing former Sounder Sebastien Le Toux to pull a goal back in the 73rd minute despite a man advantage. Seattle’s system is proving increasingly malleable as it continues to try to connect its attacking dots. The Sounders lined up mostly in a 4-4-2 on Saturday night. 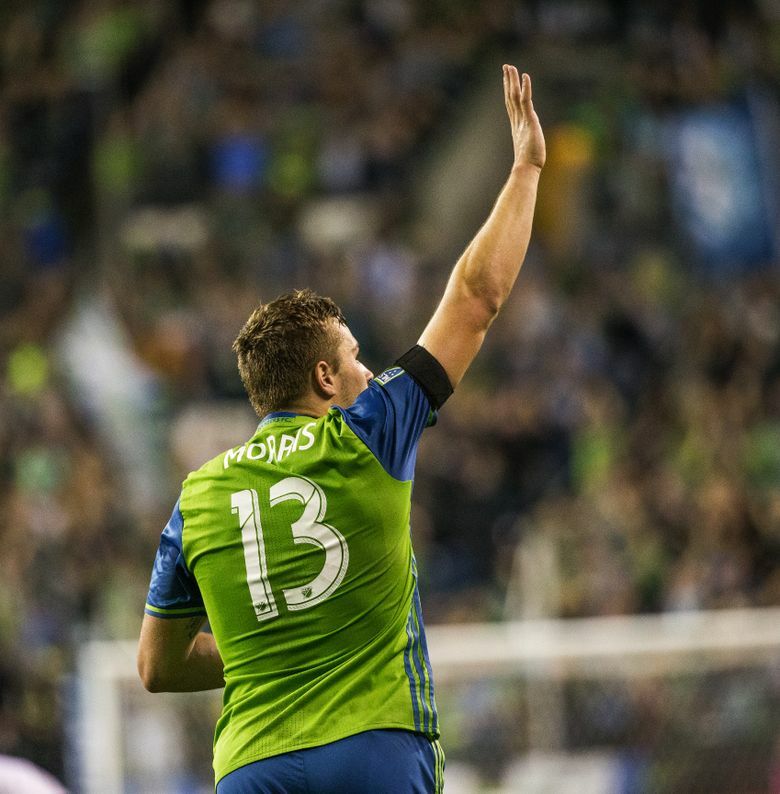 Morris slotted up front with Clint Dempsey, while Ivanschitz and first-time starter Anderson manned the flanks. They conceded most of the possession — at least until Roland Alberg was shown a second yellow card in the 52nd minute – trying to spring Morris or Anderson in behind the high Union back line. The strategy finally paid off in the 71st minute, when Ivanschitz found Morris and the young forward finally broke through. “I’m sure he feels more relieved than I do,” Schmid said. “I know he had a couple of really good looks in the first half that a striker who’s got his full confidence probably pulls the trigger instead of laying it across for someone else. Right now, he’s still searching for that.